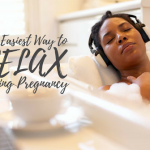 Carrying a little life inside your womb is something so special, so unique, so spectacular and as a mom-to-be, you have more than a front row seat. You are the co-star! 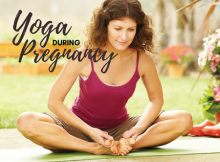 You are the first one to notice that you may be expecting, you are the first to see the positive pregnancy test, and you feel your body transforming over 9 months. 1. 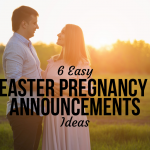 Announce your pregnancy to him in an unforgettable way. 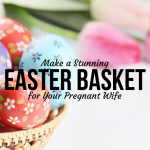 Whether it be by saving the pregnancy test and wrapping it up in a little gift box, cooking a bun in the oven, or gifting him with a dad-to-be shirt, let it be memorable. He will feel honored to hear this exciting news in a special way, amping up the anticipation to meet this little budding life. 2. Invite him to your prenatal appointments and ultrasounds. Seeing that kidney bean sized baby on a screen and hearing his or her heartbeat solidifies everything, making the situation entirely more real. 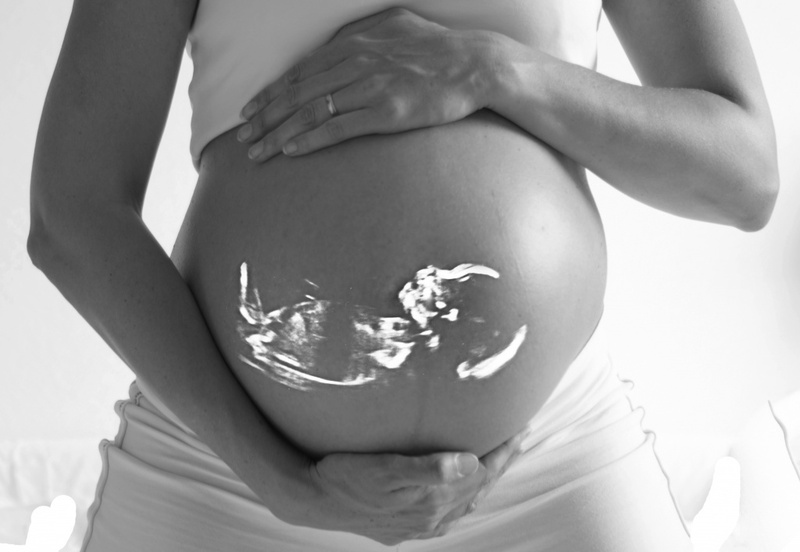 Ask the ultrasound technician to print out an image for a keepsake so you can wonder together what your baby will be like. Will he or she look like you or me? Dream together! 3. Bounce names back and forth, whether or not you know the gender. Naming your baby is difficult and may take the entire 9 months! As you each come up with names, write them down on a chalkboard or in a notebook. Don’t throw them away immediately; think them over and play name-games. Ask each other questions like: do you know anyone with that name? What does it rhyme with? What will this name be associated with? Does it fit with our last name? 4. Even though your lively baby is only the size of a sesame seed around week 5, invite Dad to begin talking to the baby. He or she can’t quite hear yet, but the entire concept of connecting is healthy. As your baby and belly grow larger and larger, continue talking and singing and reading to your baby. 5. While Dad is talking to baby, be sure to allow him to touch baby through your belly! Baby can perceive light at week 16, so as he places his bare hands over your bare belly, the baby will perceive the light changing. Feel him or her move around and kick together. It is an exhilarating feeling! 6. Dad, be sure to tell mom how beautiful her changing body is. And mean it! 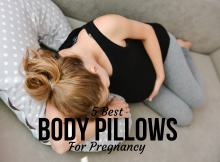 Learn to love her body as it fills out nice and round, as it raises your baby from teeny tiny to bouncing and chubby! She will need to hear every day why she is beautiful; express your love of her body as it performs one of the most incredible tasks: building a human! 7. Read a baby book together. 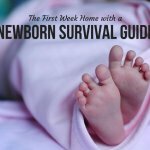 One can never know enough, especially when it comes to baby care and parenting. There are plenty of great websites available as well! Check out Baby Care Mag. Find a book you both would like to read together and set a goal of a chapter a night. Read it out loud and discuss what you’re learning. Talk about the ways you agree and disagree with what the book recommends. 8. 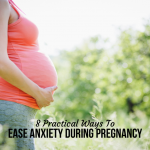 As your due date is approaching, work on the nursery together. Mom, you will feel much more inclined to decorate and pick out cute art pieces and clothing articles. But be sure to include dad in the nesting! Invite him to help paint the crib, pick out a dresser, or build some shelves. Ask him what colors he enjoys. Include him in preparing this precious room for your baby. You may think he doesn’t want to be a part of it, when really he is aching to be asked. 9. Sign up for a birth class together. Both moms and dads learn invaluable tools and techniques during these classes! Look around your area for the best and most affordable class. Read reviews, ask questions, do your research, and decide together. While you’re at it, create your birth plan together! 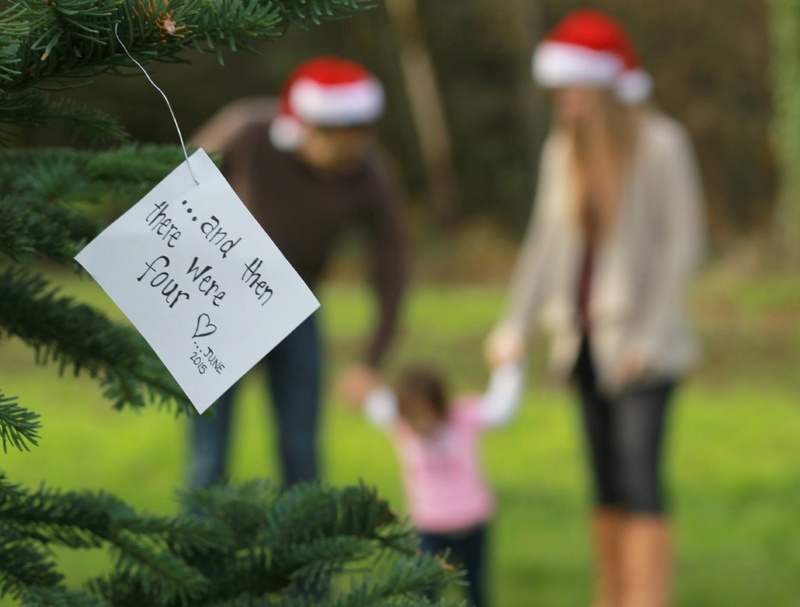 If you are planning for dad to be a part of the birth, let him help create a wish list of what the event could look like. 10. 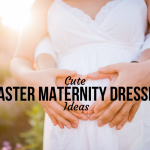 Request that your baby shower is co-ed. We are moving away from the days where everything wedding and baby is female. Having a baby enter your life is a major change, for both of you. 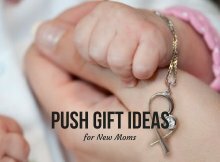 Let dad be a part of registering for your baby’s needs and invite him to the baby shower to open gifts. Take photos and enjoy the party! Letting dad be part of the pregnancy will also help him build a bond with his child from the very start. This will be beneficial for all three of you! 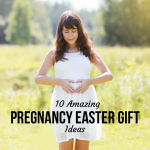 Interesting Things About Your Pregnant Body!